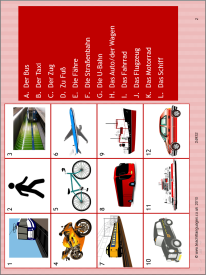 These activities will revise and extend students’ vocabulary on the topic of transport. Domino cards and a reading task supplement the PowerPoint resource. Teaching notes and answers included.